Yup. Big things are happening today. 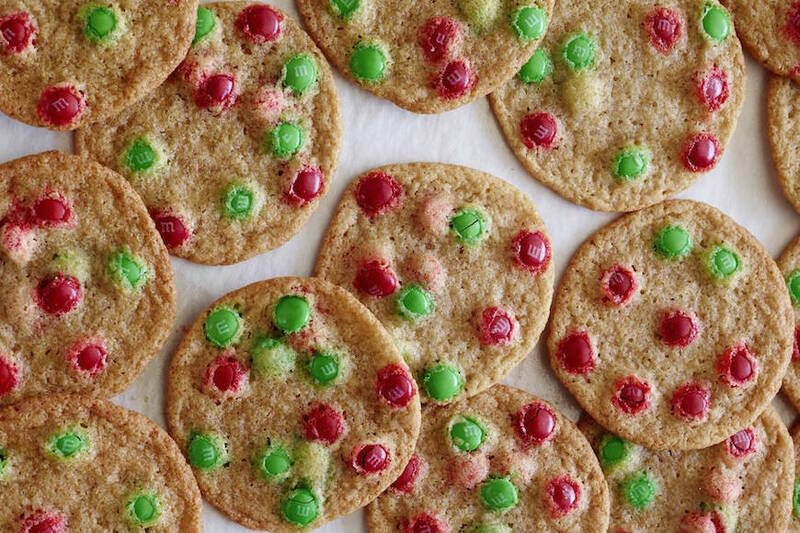 Specifically these 12 Christmas Cookies that you need in your life! 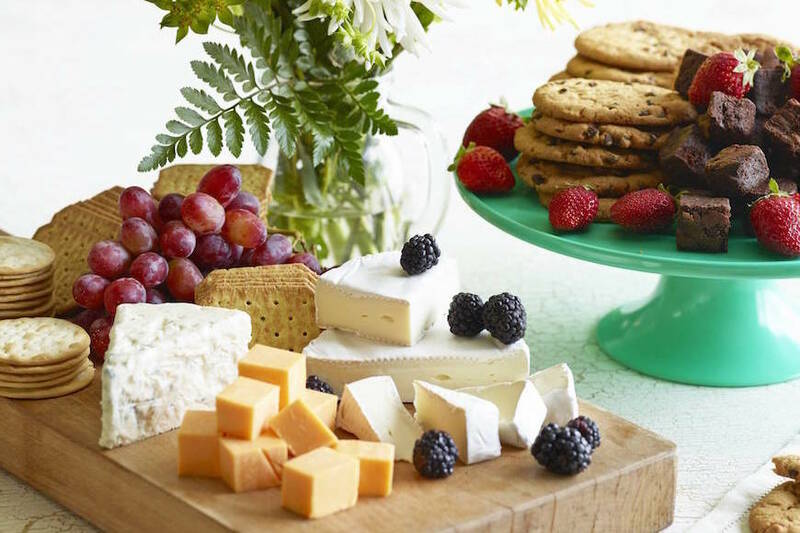 Christmas is almost here and we need cookies for family, friends, random people who swing by the house and most importantly for SANTA! 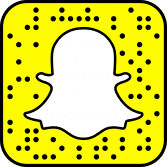 Let’s get down to business people! 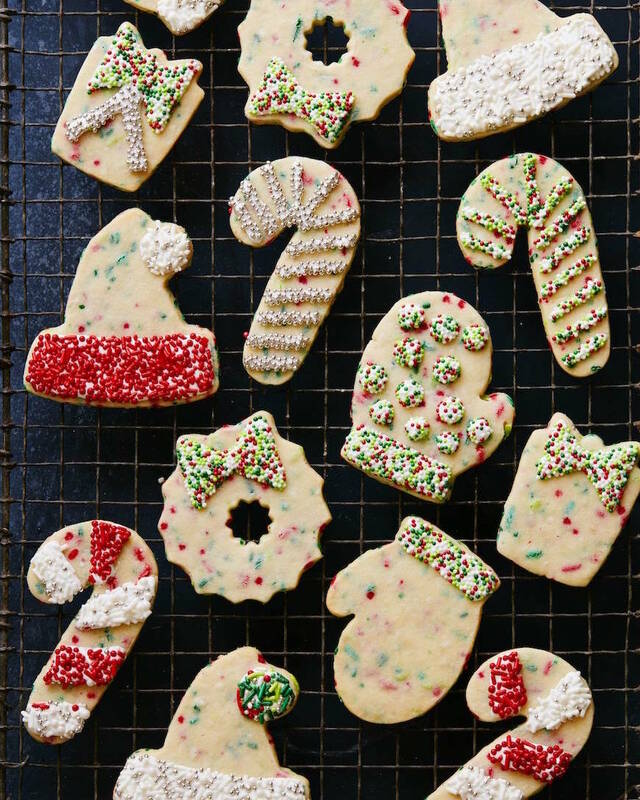 Here are my favorite Christmas Cookies (and other desserts) you need in your life ASAP! 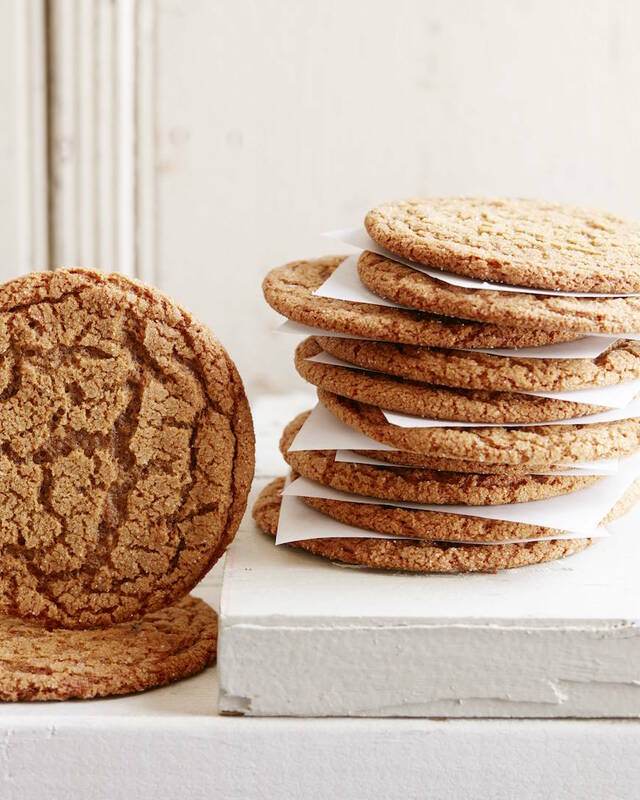 Molasses Cookies – my favorite cookie in the whole world. We grew up eating these and I can never get enough! 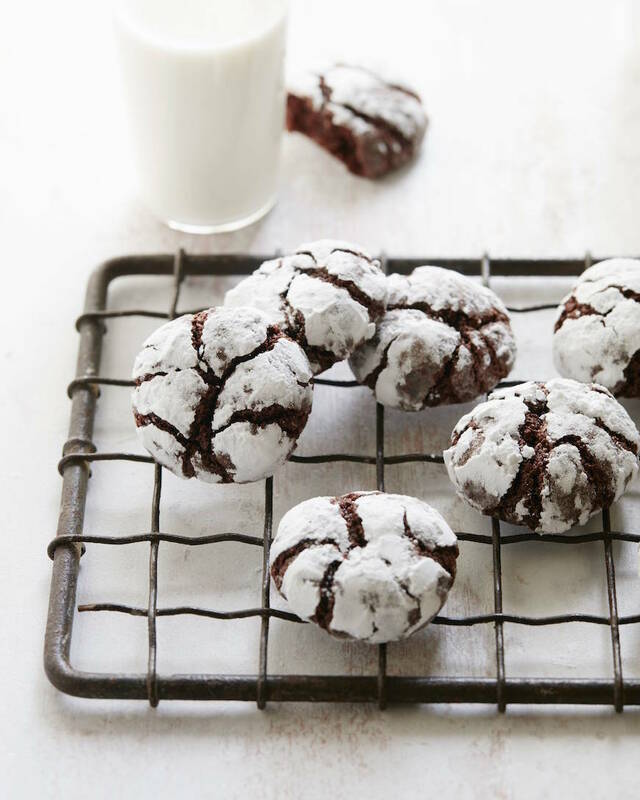 Gooey Chocolate Crinkle Cookies – honestly… these are perfection. 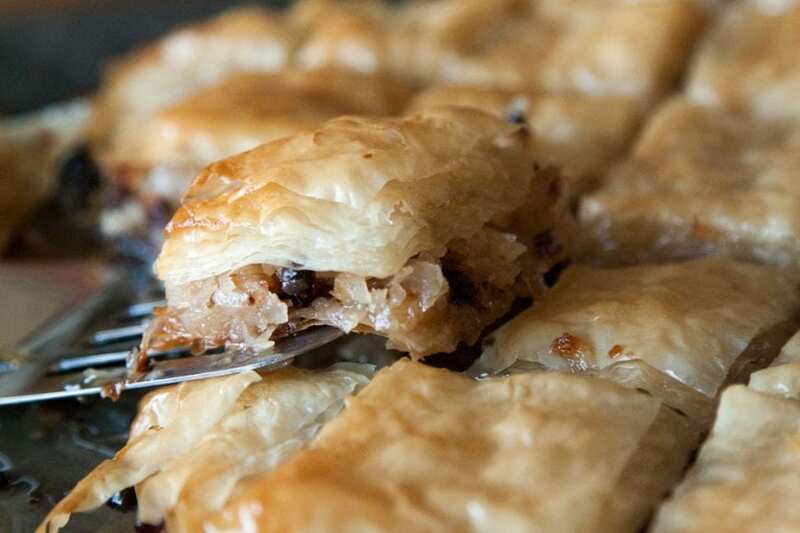 Gooey on the inside, a little crackle on the outside… you’ll be hooked. Christmas M&M Cookies – remember those mall cookies you’d have as a kid, these are them! SO festive! Christmas Sugar Cookies – my favorite sugar cookie of all times. 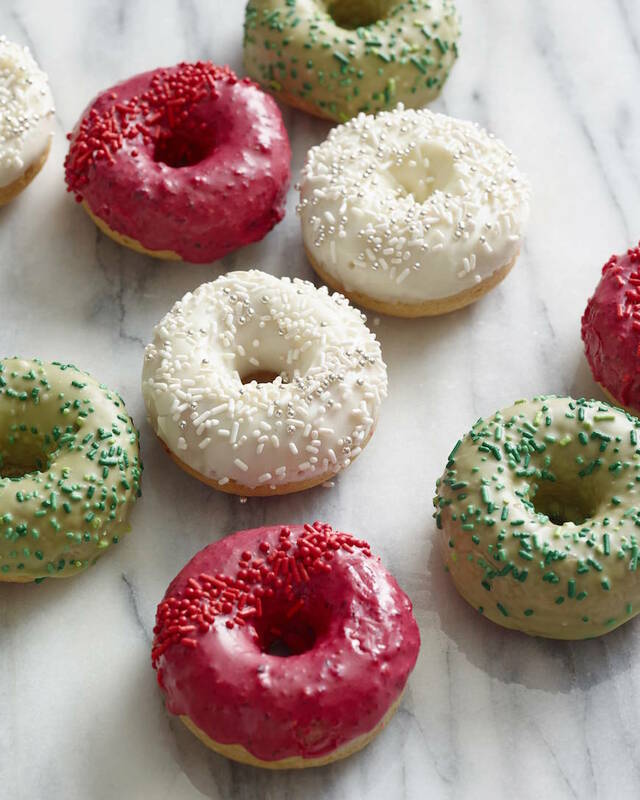 You can opt to add the sprinkles into the dough if you want to be extra festive, or just use them to decorate. Your call. 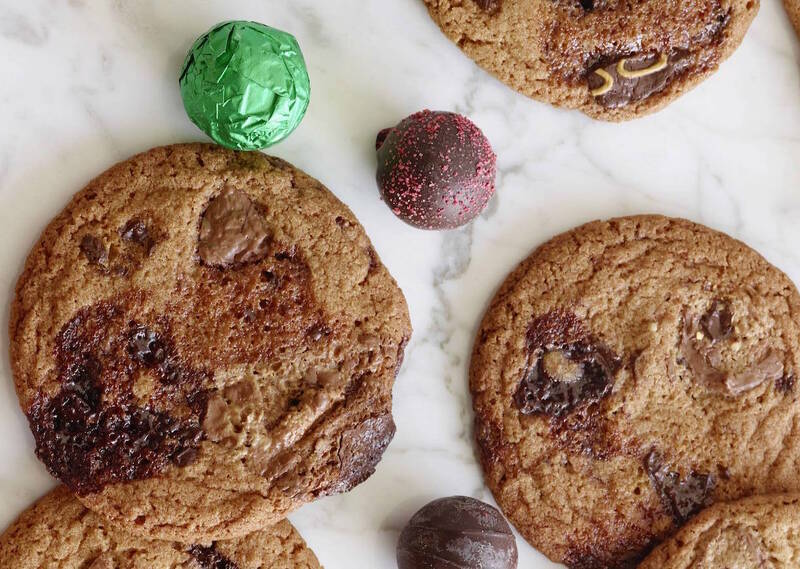 Truffled Chocolate Chip Cookies – for all those truffles you get as holiday office gifts, here’s what you do! 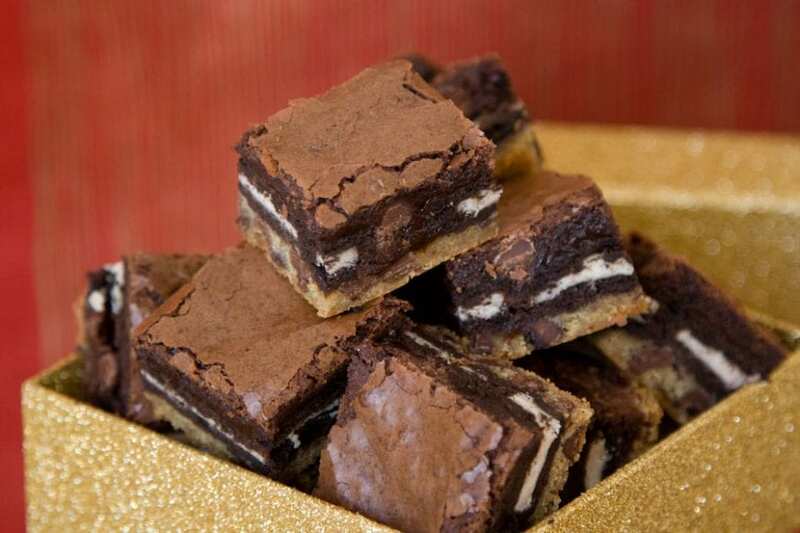 Peppermint Slutty Brownies – naturally. Enough said. Christmas Donuts!! Red, White and Green because that’s who we are these days! 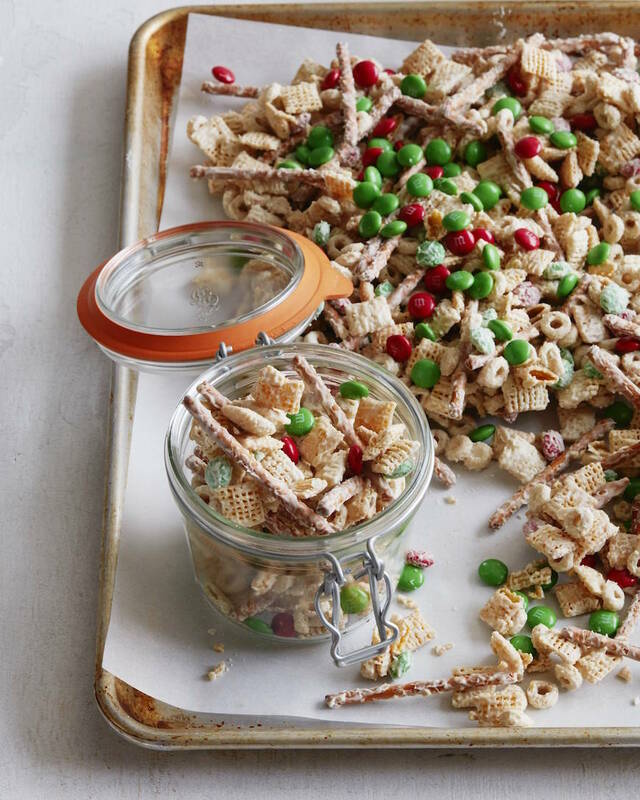 Christmas Crack. Mandatory this time of year. 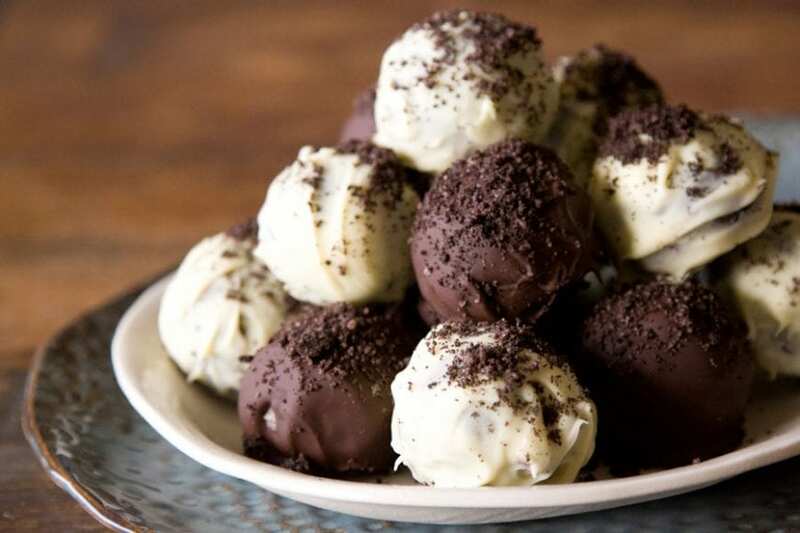 Peppermint Oreo Truffles – embarrassingly easy to make! 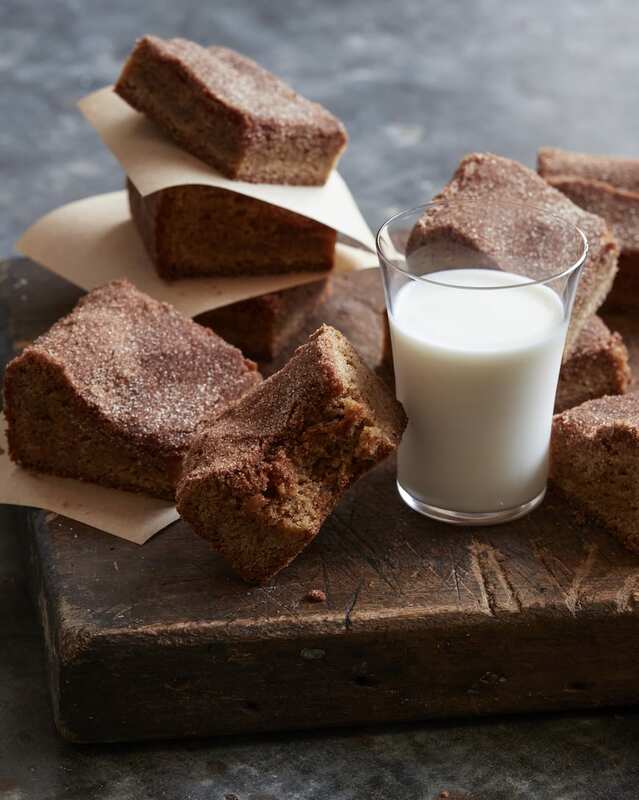 Snickerdoodle Blondie Brownies – YES PLEASE – these are truly award winning. Don’t miss them. 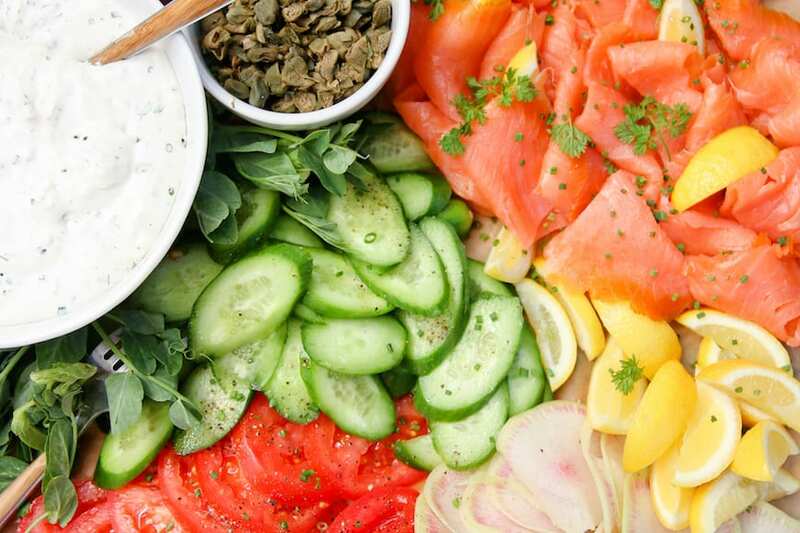 I would like a dozen of each please!!! They all look great! 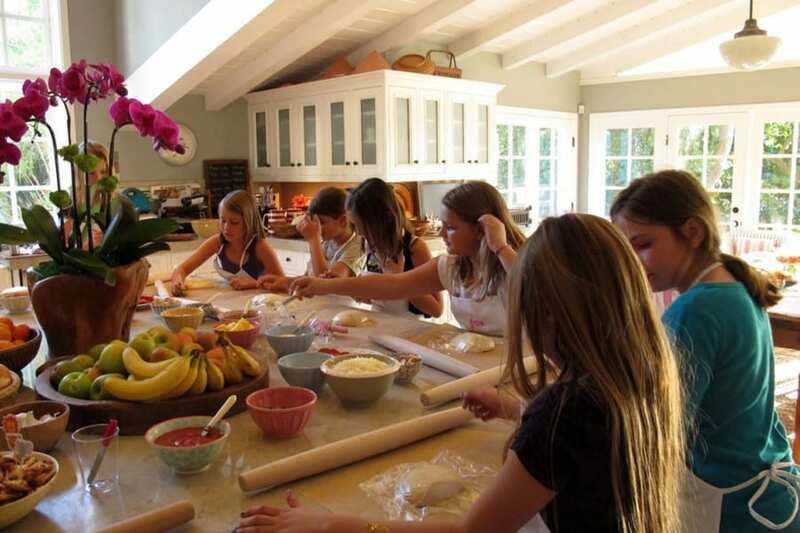 But… Where is the recipe for the sweets in the photo in the email announcing the cookies. That’s the recipe I want most. I think you need to start a mail order business! I want them ALL. On the Christmas Crack which white chocolate would you recommend? Also have you made it with chocolate? Ghiradelli is what I usually buy! 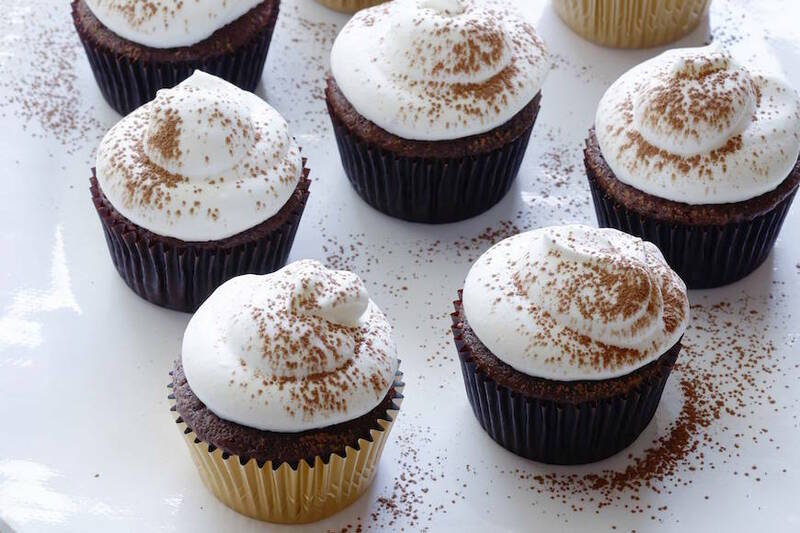 and yes you can do it with any chocolate. I just love the white chocolate flavor on this! On the Christmas Crack which white chocolate do you recommend? Also have you tried it with Chocolate? I usually buy the Ghiradelli white chips!